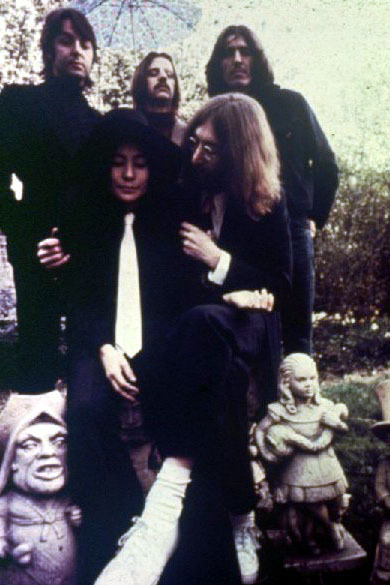 Once John Lennon got together with Yoko Ono they pretty much never left each others side. 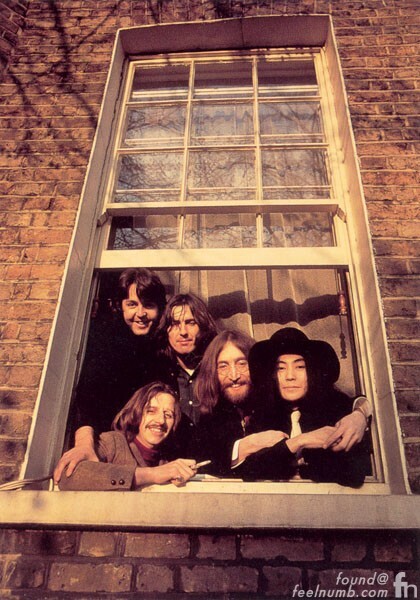 We at www.feelnumb.com do not “hate” Yoko Ono at all, in fact we actually kinda like Yoko but seeing her in these Beatles press photos and album covers does annoy us a little bit. Coincidentally, the photos were taken by another significant other, Linda McCartney. 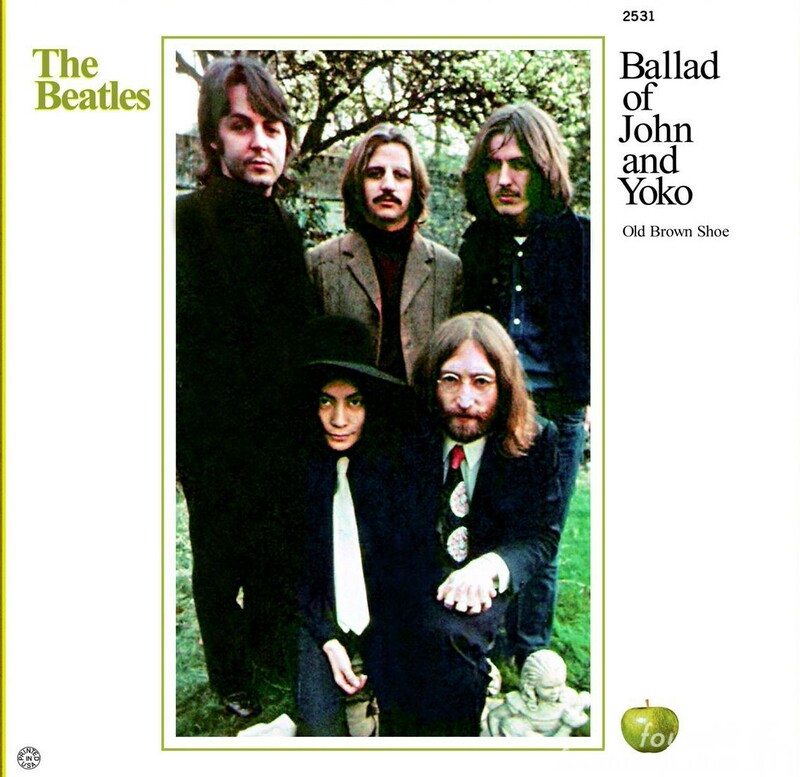 And finally the cover to The Beatles single of “The Ballad of John and Yoko“. 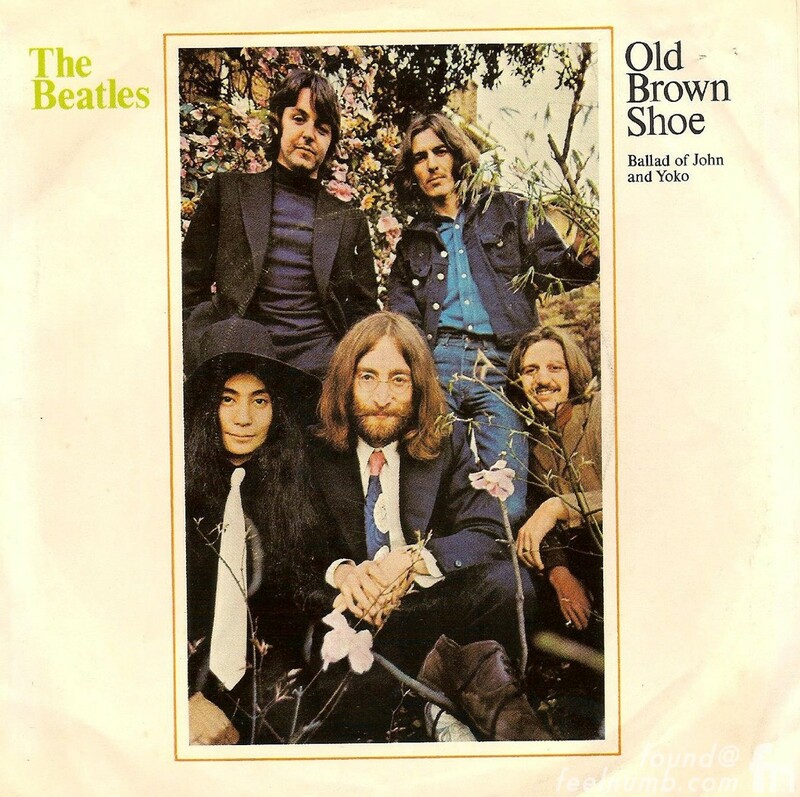 Yoko is also on the cover of the B-side George Harrison song “Old Brown Shoe”. Why didn’t he put Patti Boyd on the cover? 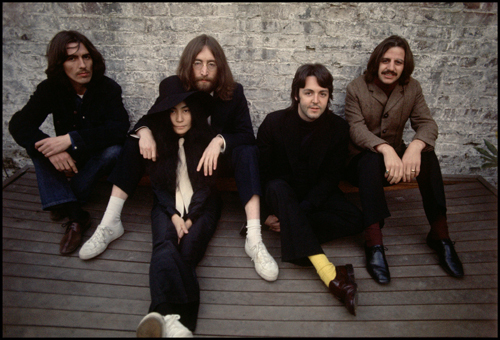 I guess Yoko can stake claim to be the the 5th Beatle…in photos at least.